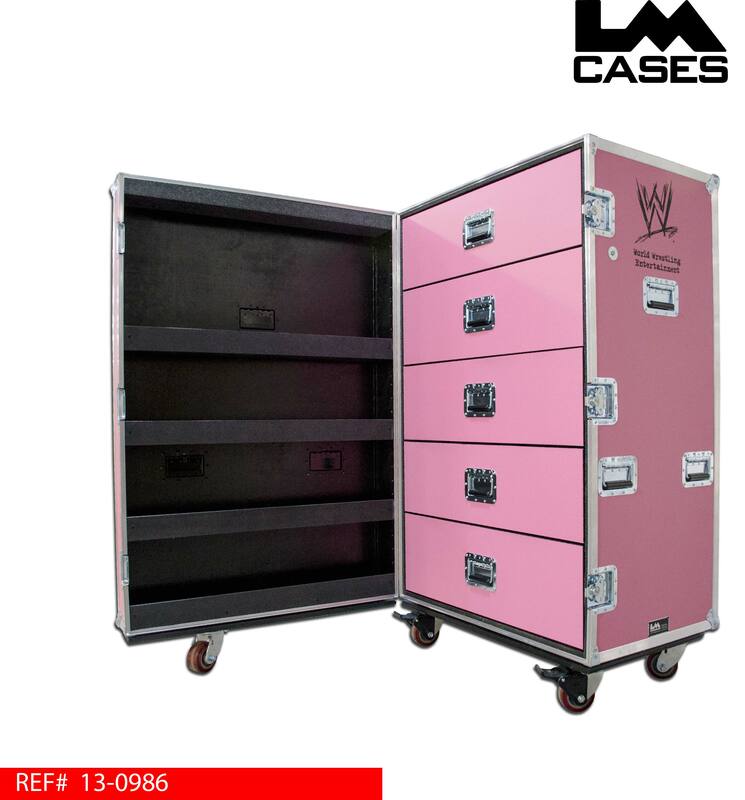 This workbox was built for World Wrestling Entertainment as a wardrobe storage case for the Divas costumes. The case features 5 drawers built out of 1/2" Baltic Birch plywood mounted on HD Accuride glides. The drawers are mounted in a shell that is independent from the exterior case which prevents any damage to the drawers during rough handling. The case also features 4 shelves mounted in the lid for additional storage. 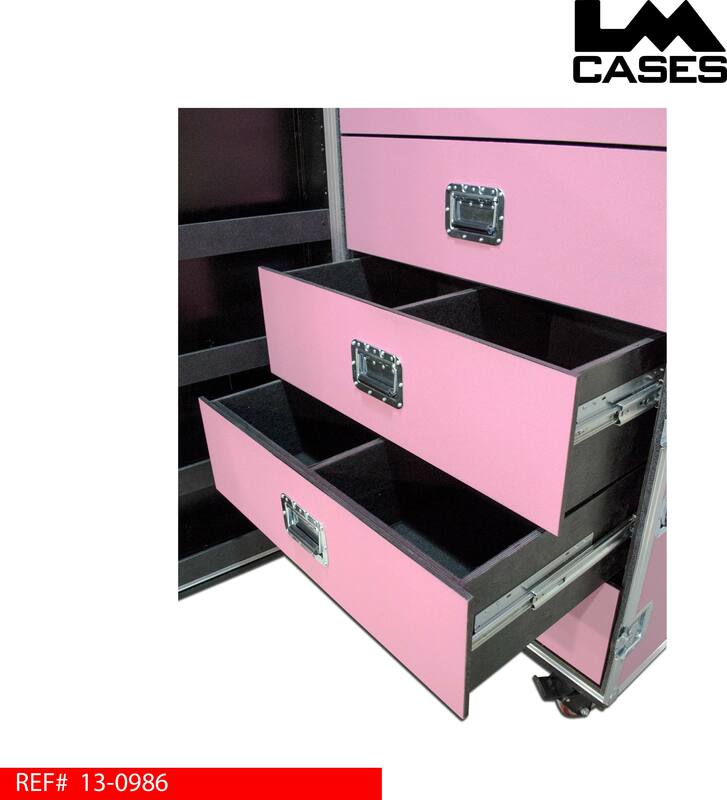 The exterior case is built out of 1/2" plywood laminated with pink ABS plastic. 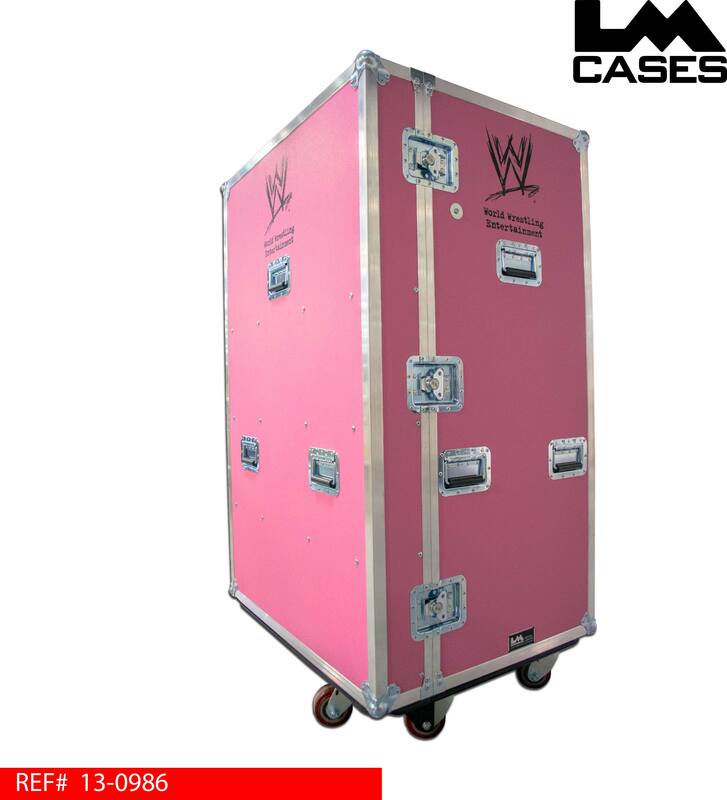 The exterior features Colson Encore 4" x 2" HD casters, deep recessed handles and a custom silkscreen of the WWE Network logo.